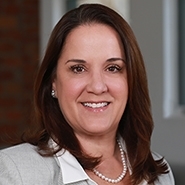 Julie Treppa to speak at the California Tax Policy Conference session: A Toast to Women in Tax: High Risk, High Reward: Taking Risks in Your Career Development. Taking risks in your career can be daunting and the fear of the unknown and possible rejection can stymie personal growth. Being ready, willing and able to take that leap can lead to new challenges and accomplishments. Panelists will provide insights, personal perspectives and share how they addressed challenges and obstacles to ultimately find success in their careers. Link to conference details and registration.